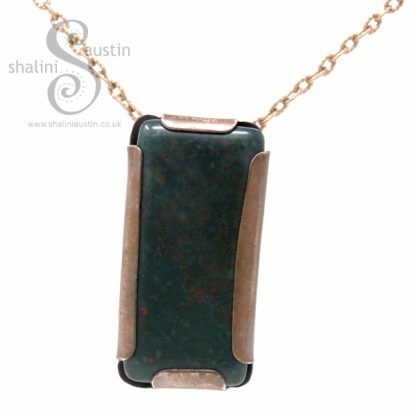 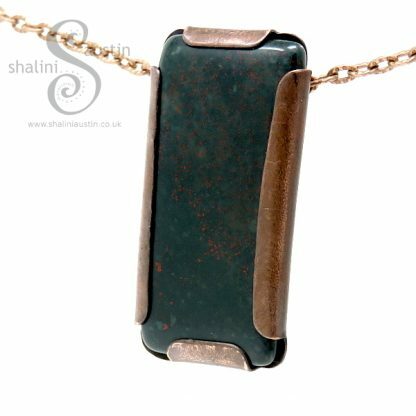 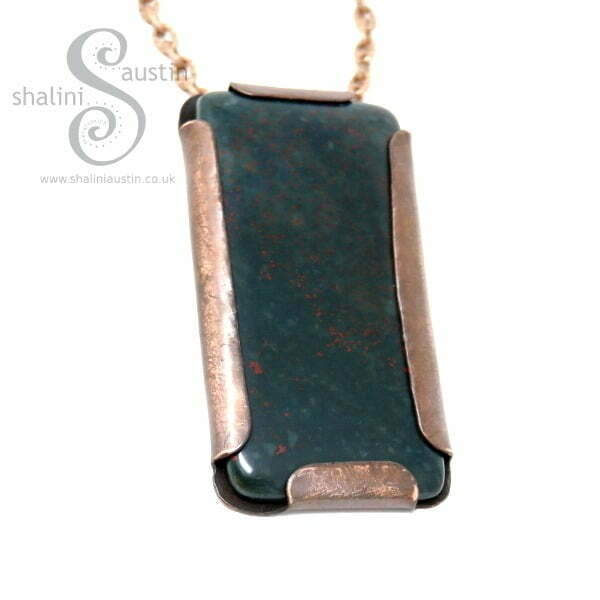 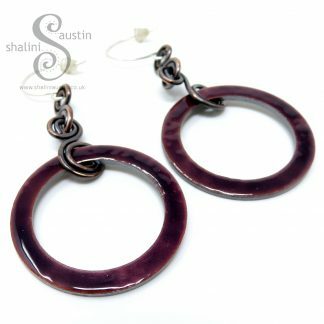 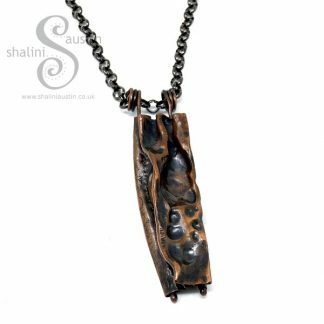 The Rock Pendant – Bloodstone with a tumbled stone has been set in textured copper sheet cut to shape for the Rock. The stone is a lovely deep green with tiny red flecks all over it. 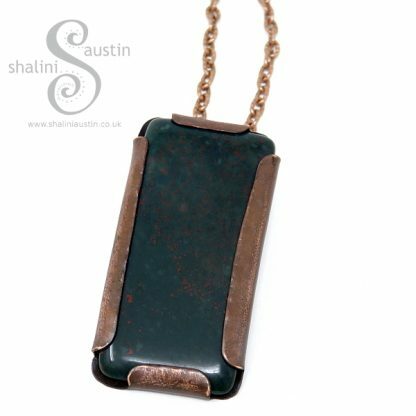 The tumbled Stone was cut to size by Dave Austin in our Rough Rock Workshop and then tumble polished in-house. I then cut copper sheet to size and set it around the Bloodstone. This pendant comes on a simple chain. 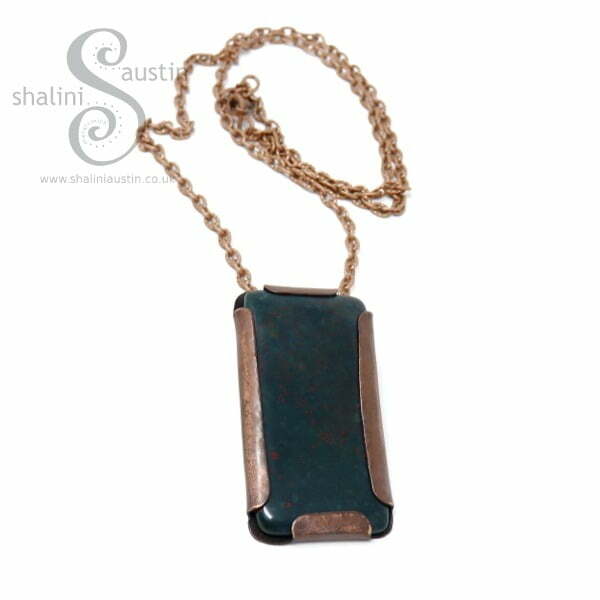 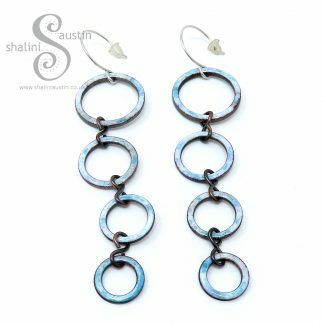 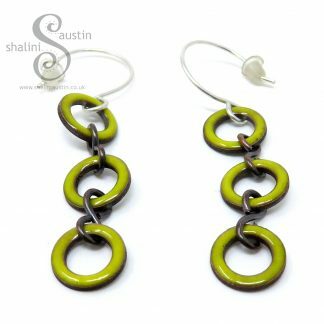 The chain is an anti tarnish copper coloured iron alloy. It is not a pure copper chain. 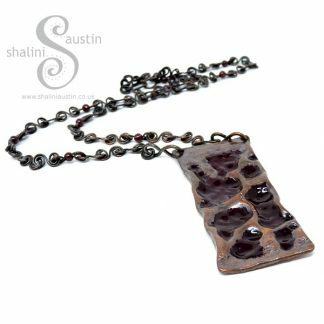 Chain is approximately 21 inches long. 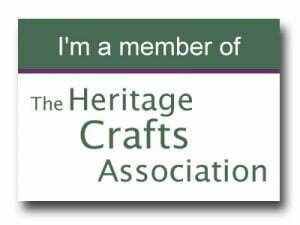 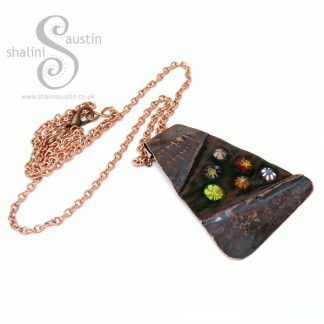 Note: If you would like to buy a necklace to wear with this pendant we have these available. 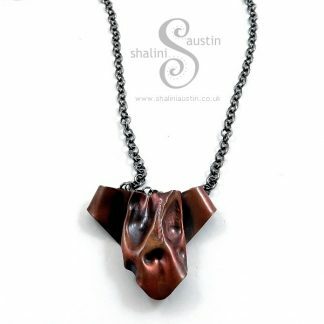 Just follow the link for torc necklace, priced at £10.00 each. 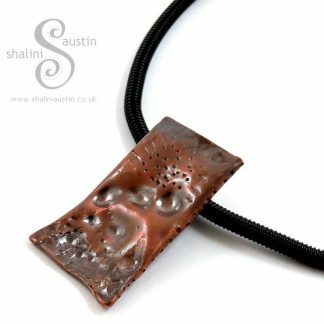 Commissions welcome for this style of copper setting pendant using one of your own stones or from our selection.Please contact me for a bespoke quotation. 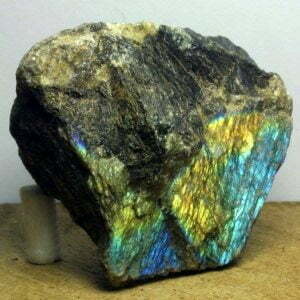 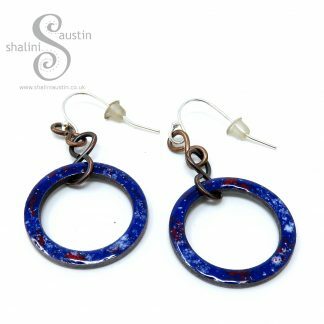 Price will be based on stone size and if there is any cutting and polishing required.